Extreme fun, yet easy to fly! Transportation Included when booking online! 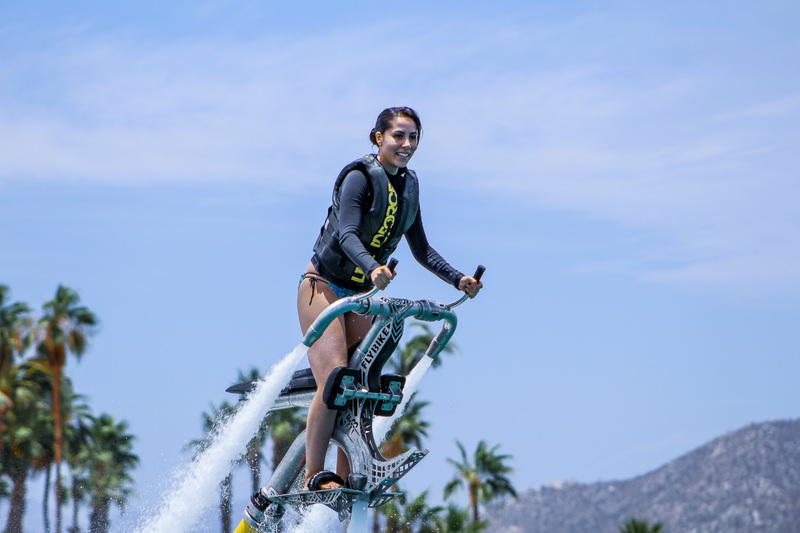 If you think that doing jet skis or any other watercraft while in Los Cabos can be fun, you may want to check out our FlyBike! 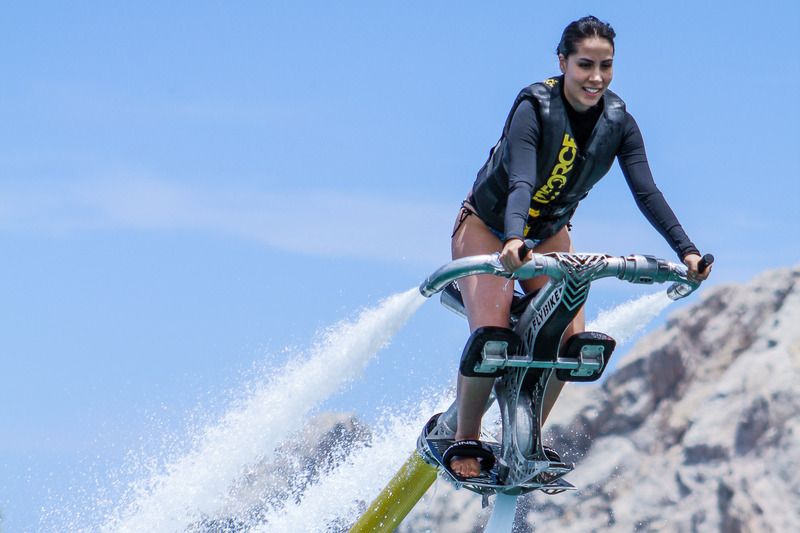 The FlyBike is a jet propulsion powered device where you can be sitting or standing. You will use the handlebars to guide it while you raise above the water. 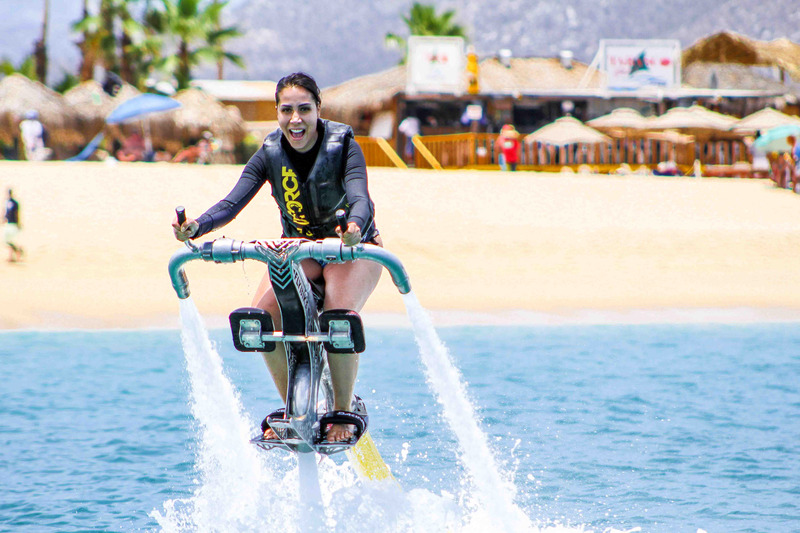 While on the FlyBike you will be able to make quick turns and dips, show off the coolest photos you’ll have of you Cabo vacations! 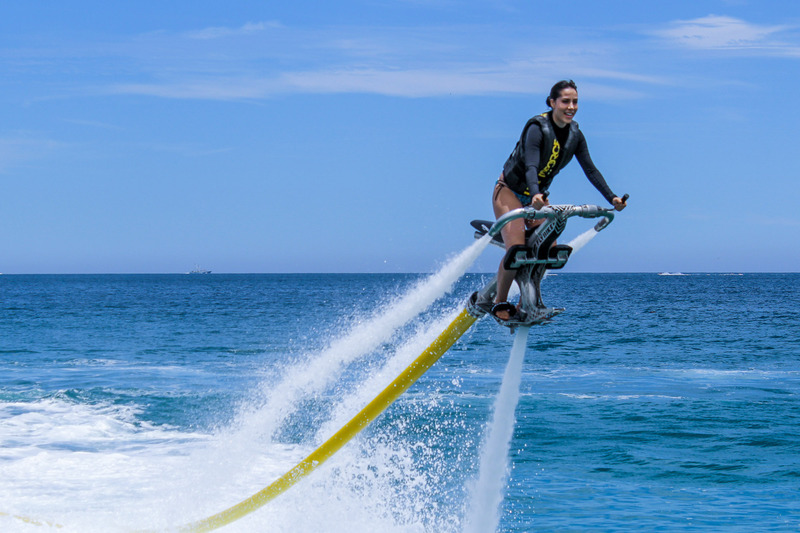 You will have an experience like flying just above the surface of the water. Bring sunscreen, swimwear, sunglasses, and sandals. People with heart, back, or neck problems and pregnant women won’t be able to participate in this activity.